Tonight’s show deviated from the norm. Instead of talking about science, we talked about us, the Perpetual Notion Machine, putting science on the radio. The guests tonight were the current volunteers on PNM – Dennis Shaffer, Bill Scanlon, Jim Carrier, Matthew Zmudka, and Kaitlin Stack Whitney. 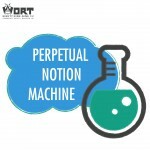 Our goal is to try to generate interest in our listening audience to volunteer on PNM and join us in getting much needed science topics and issues on-the-air at WORT radio. Now that PNM has gone weekly, we’ve doubled the number of shows that need to be produced, so extra help is sorely needed in getting all our shows planned, produced, and broadcast. The current volunteers had their own specific reasons for joining PNM. But these people and all of our previous volunteers had a commitment and dedication to the show, a strong attraction to science, and a need to present scientists and their fields that are not normally heard in the media. We hope that a lot of people were listening to the original broadcast. If you found your way to this post on your computer, please take the time to listen to the show below. If you might be interested in volunteering, but are reluctant and maybe have a few questions, PLEASE feel free to stop by the WORT studios on 118 S. Bedford St. when we have a show, every Thursday at 7:00 pm. Also, PLEASE consider stopping in for the show on June 4th, when we’ll be having a quarterly meeting. All of our current volunteers will be attending to plan shows and sign up producers for the next quarter – July, August, and September. However, we also now have a new email address. If you’d like to volunteer, ask questions, comment on past shows, or suggest new show topics, just send an email to: scienceonwort@gmail.com.